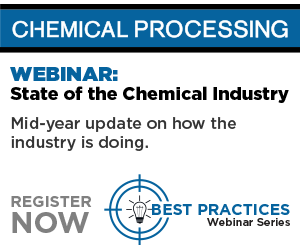 The American Chemistry Council (ACC) reports that U.S. specialty chemicals market volumes rose 0.3% in December. This follows an upwardly revised 0.5% gain in November. Volumes have generally been moving up since May, according to ACC. All changes in the data are reported on a three-month moving average (3MMA) basis. Of the 28 specialty chemical segments ACC monitors, 17 expanded in December; 10 markets declined and one was flat. During December, large gains (1.0% and over) were noted only in oilfield chemicals. The overall specialty chemicals volume index was stable on a year-over-year (Y/Y) 3MMA basis, according to ACC. The index stood at 105.4% of its average 2012 levels. This is equivalent to 7.27 billion pounds (3.30 million metric tons). The downturn in the oil and gas sector affected headline volumes and weakness reportedly spread to other segments. Year-earlier comparisons were negative since second quarter 2015 but are now stable. On a Y/Y basis, there were gains among 19 market and functional specialty chemical segments.